“He Will Have other Names Before the End.” — Doctor Who: The Name of the Doctor. Previously on Doctor Who: Nightmare in Silver. Oh. my. stars. That was amazing. That more than made up for the ups and downs this series, and, oh, they’re so clever. This episode did the exact opposite of what people feared it said on the tin, of course it did (and I do quite unashamedly hope that a lot of people are eating their words for breakfast this morning). It’s not about the name. It’s about the promise that he made. The promise that’s going to break his hearts. 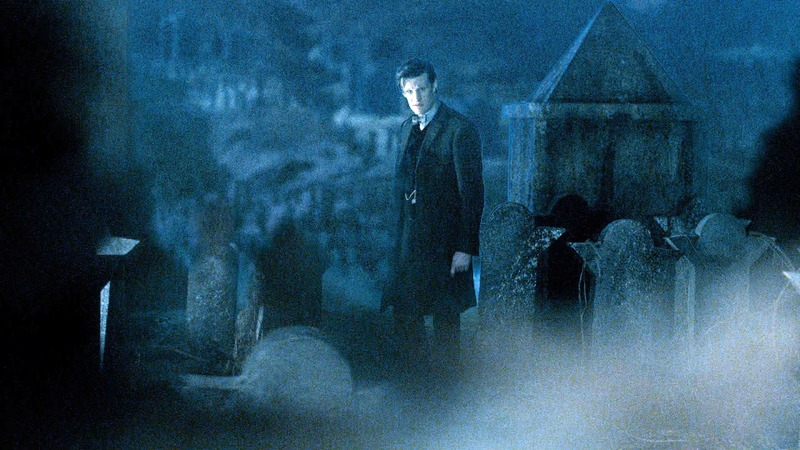 The battlefield of Trenzalore is where the Doctor will be buried, although that’s a poor description of the real thing. His consciousness, the scar tissue of his travels through the galaxy, like a bright star in and of itself, suspended within the TARDIS. It’s beautiful and deadly, just like the man himself, and there’s so much of it. Time travel is a great thing, and the Doctor has chosen his name as a promise, and he has saved galaxies and solar systems in the name of the Doctor; but the very fact that he calls it scar tissue is the inversion of beauty. He let himself be called a monster, and his pressing need to save the world has left scars on the face of the Universe, over and over again. No matter how many lives he saved, he sees himself as marring the wonder that once surrounded him. His real name was never the point, it can’t hurt him. The darkness within him can. One day, he’s going to break that promise. Whether John Hurt is the Doctor himself or the manifestation of him that we will come to know as the Valeyard, I don’t know; but I dread to think that the Eleventh Doctor’s fury might not be enough to see him through those dark days. He will try not to do the same, but the Valeyard is a fact. Not by choice, but still, he will break. Some would consider the promise broken already, but we’re not there yet. The Doctor made it through the dark days, Clara saved him. There might come a day when she can’t. 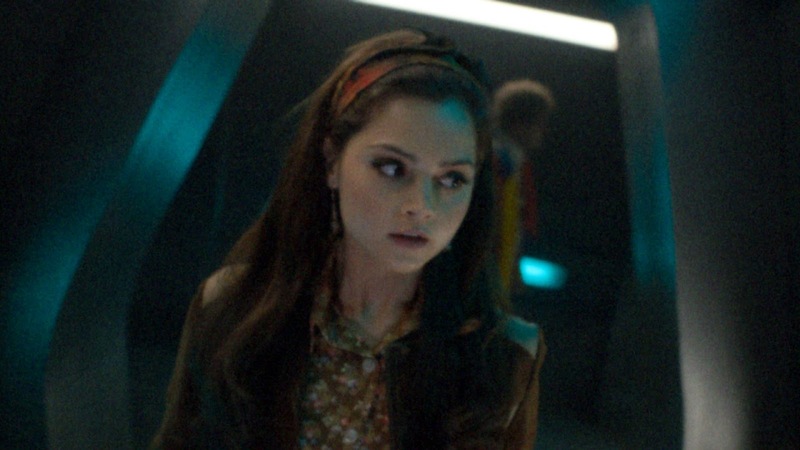 There’s the other twist that I loved: many were complaining about Clara being another mystery, something inherently more-than-human—when she really isn’t. She was born to save the Doctor, but she wasn’t made by anyone, she wasn’t created by the Universe. She made a choice that was all her own, that’s what created the mystery. She’s an incredible, brave, wonderful woman who saw the chance to save her best friend, and took it, at whatever cost to herself. That’s who Clara is. And she’s magnificent. She’s a mechanic on Gallifrey, for goodness’ sake! She’s the impossible girl. And then, there’s River. River, as you’ll have noticed, wearing the clothes she had at the end of Forest of the Dead, after Ten uploaded her into CAL’s data core. That’s the River that he has left now, because he spent the first and the last night with her, so all he has now… is an echo. That’s another bit that had me bawling my eyes out, because he can always see her; she’s always with him. He didn’t shelve her, he kept her with him. She couldn’t let go, and he couldn’t face it; and if anyone ever doubted that he loves her endlessly, then now they know they had it wrong. It’s the first time that he’s initiated a kiss just because he wanted to, just because he loves her; and it was a good kiss. And, yeah, goodness knows how that must have looked. 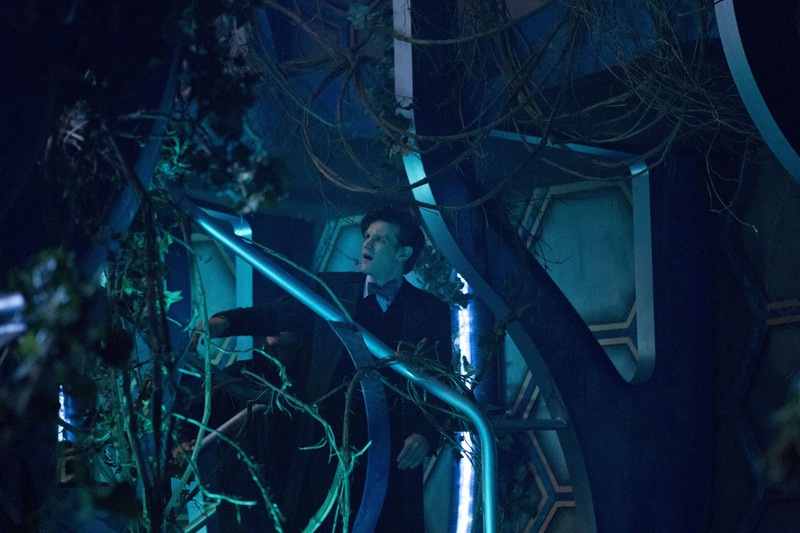 The sequences of Clara running to save the Doctor were wonderfully done. I’m still so jazzed that I nearly have no words to describe it, but it was done so lovingly, and with great attention to detail. It was fan service and it served the episode and the show in the best possible way. (There you have your parade of Doctors! Rule one: Moffat lies.) This episode added so much to the mythology of the show while picking up so many threads from Classic Who and winding them together in time for the big anniversary… it’s brilliant. And fantastic, and everything in between. Next: The Day of the Doctor. It was a beautiful episode from start to finish, one which packed a wallop in its jaw-dropping opening moments and then followed it up with an equally savage haymaker in its closing frames. Is Hurt the Valeyard? It would seem so, particularly given that the name was dropped into the episode’s dialogue earlier – and we know Moff isn’t one to waste his words. Of course, the tantalising prospect is that the Valeyard is a previous incarnation of the Doctor and not a future one (which I know violates canon, but hey, that’s paradoxes for you). 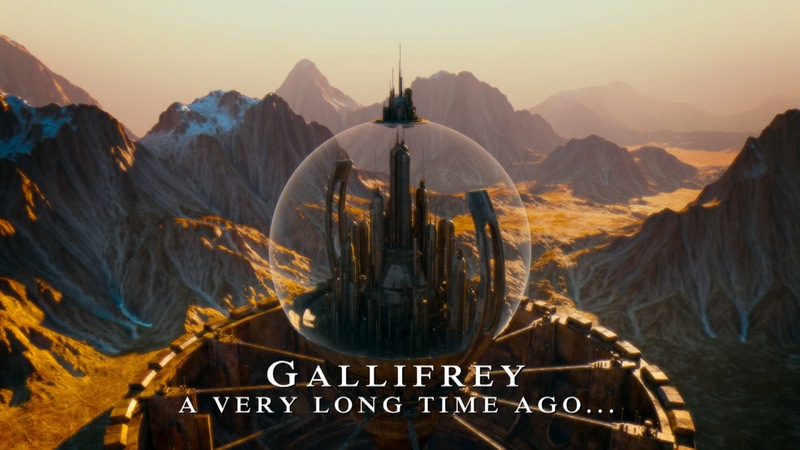 Could the Valeyard be the incarnation between Eight and Nine – the one regeneration we have never seen and perhaps the version of the Doctor which ended the Time War? It’s one possible explanation, but I look forward to Moff confounding us all again in November. Chapeau. Precisely — I haven’t really followed why people are getting so upset about them renumbering the Doctors. I know that Paul McGann is getting grief sometimes (completely uncalled-for, he’s brilliant), but I don’t think the current producers would tinker with canon like this. Clara said Matt’s the Eleventh Doctor, it’s been a thing throughout the series, and she said that she’s seen all past Doctors. She didn’t recognise Hurt, so her Eight must have been McGann, even though we didn’t get to see him (which did make me wonder). I personally do think Hurt’s “not-Doctor” is the incarnation between McGann and Eccleston, the one that did all those horrible things during the Time War. And it doesn’t really mess up the numbering, because, like Eleven says, he’s not The Doctor, he’s not the person that name belongs to, because of his actions. But then there’s the mentioning of the Valeyard, so he could be Eleven’s future, and Eleven would know him because of the Trial. Oh, the suspense! You’re right, if he’s that in-between incarnation, then that wouldn’t interfere with the numbering, either. I’m just so stoked to find out which way they’re going to go! OH! Yes, a comic or graphic novel or a novelisation of all of that, yes! A comic would be the best, actually, because of all the different period styles and the costumes and ooooh now you’ve made me want something I didn’t know I needed! NextScott & Bailey: S03E07 (Wrong Place, Wrong Time).